In January 1970, Prince Sihanouk embarked on another whirlwind tour, with plans to visit France, the Soviet Union and China. Lon Nol, who was now Sihanouk's prime minister, had been abroad seeking medical treatment in France and had left Prince Sirik Matak as acting prime minister. Soon after Sihanouk arrived in France, Lon Nol returned to Cambodia and began a series of conspiratory steps with Sirik Matak that would soon spell the political end of Sihanouk. In early March 1970, Lon Nol organized anti-Vietnamese demonstrations across Cambodia and gave the Vietnamese an ultimatum to leave Cambodia or face an attack. On March 12, thousands marched in Phnom Penh, sacking both the North Vietnamese and Viet Cong embassies. The following day, Sirik Matak canceled the secret smuggling deal through the port of Sihanoukville. Sihanouk, still in France, was furious and threatened to arrest his ministers. But instead of returning home to settle the growing rift, Sihanouk continued his travels, flying onwards to Moscow. By March 15, Lon Nol's ultimatum deadline had come and gone, so he requested and received shelling from South Vietnamese artillery against North Vietnamese forces entrenched near the border. Still, Sihanouk remained in Moscow. Fed up with Sihanouk, Prince Sirik Matak concluded a coup was now in order. Lon Nol initially wavered at Sirik Matak's plan, so the prince went to Lon's house with several army officers and insisted that he sign an official declaration against Sihanouk. "Nol my friend," the prince reportedly proclaimed, "if you don't sign this paper, we'll shoot you!" Lon Nol broke out into tears, as he would often do during moments of pressure, then pulled himself together before signing the decree. It was only when the prince was on his way to the airport to catch his flight to Beijing that he received the official news: Lon Nol and Sirik Matak had successfully convinced the National Assembly to remove the prince from power. For the first time since 1941, Sihanouk was no longer the supreme leader of Cambodia. The immediate impact of the Lon Nol/Sirik Matak coup was the end of Cambodian neutrality. Because Lon Nol requested military support from South Vietnam, the US concluded that this meant Lon Nol would even support American military involvement. Both the US and South Vietnam were delighted by the change in Cambodia; Sihanouk had been a thorn in their sides for years. Lon Nol was a man they could deal with. But Sihanouk would not go quietly: exiled in China, he made a public demand for Cambodians to revolt against the new right-wing regime. In Phnom Penh there was little support of his call to arms; Sihanouk had caused the elites of Phnom Penh much grief over the years, and as a former leader of the local business community, Sirik Matak was well received in his new role. But in the country villages, where support of Sihanouk remained strong, rioting soon broke out in which Lon Nol's brother Lon Nil was literally butchered and cannibalized by the mob. Also coming to Sihanouk's side were the communist forces of China, North Vietnam and the Pathet Lao of Laos, ready to supply his fledgling army with weapons and training. But who would fight for Sihanouk? The peasants were on his side, but they were poorly organized. 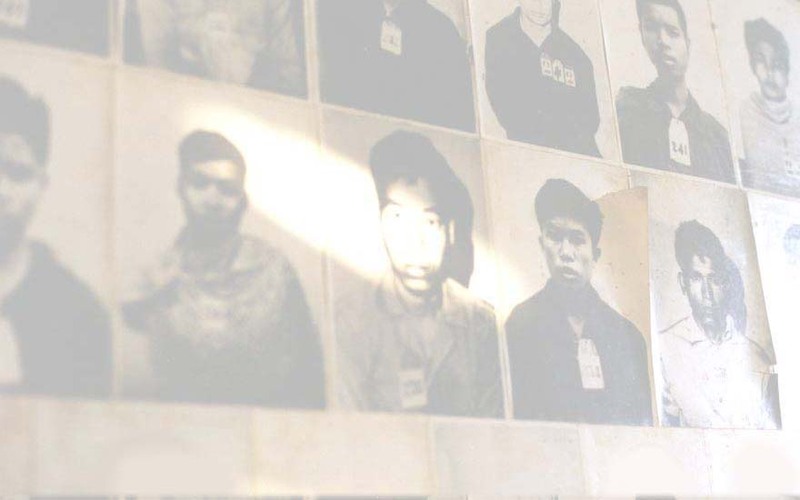 The Khmer Rouge, though, seized the opportunity and offered their support for deposed prince. Once a rag-tag guerrilla army of former politicians, monks and teachers, they now had a cause for which the country people would fight. It was the beginning of full-scale civil war in Cambodia. But madman threats had to be backed up by madman action, for without a demonstration of his willingness to use force, Nixon's crazy act wouldn't hold much water in the eyes of the North Vietnamese. Because it appeared Lon Nol wanted US military support, Nixon decided to expand attacks into Cambodia in the hopes of eliminating COSVN, the phantom Vietnamese command center the US believed to be operating in Cambodian territory. In late April, 15,000 US troops supported by over 4,000 ARVN troops crossed the Cambodian border as part of a search-and-destroy mission. Once again the Nixon administration hoped to keep the maneuvers secret, but a series of press leaks forced Nixon's hand. On April 30, Nixon gave his famous televised speech which outlined and justified the invasion. "If," Nixon explained, "when the chips are down, the world's most powerful nation, the United States of America, acts like a pitiful, helpless giant, the forces of totalitarianism and anarchy will threaten free nations and free institutions throughout the world." Public reaction to the invasion was swift. Hundreds of American universities shut down as thousands of students protested and marched against the Cambodian invasion. At Kent State University in Ohio, where Sihanouk had once visited in his campaign for Cambodian independence, students sacked the campus ROTC building. Ohio governor James Rhodes responded by ordering National Guard troops to quell the riots. Within a day 15 students had been shot by the Guard, four of them killed. Before the week was over nearly 100,000 protesters had converged upon the White House. The U.S. Congress, increasingly concerned over the president's lack of interest in seeking their consent regarding military operations, soon passed the Cooper-Church Amendment. The amendment legally forbade Nixon from military engagements in Cambodia beyond June 30th as well as prevented US support of the Cambodian armed forces through training and bombing raids. For all intents and purposes, the war in Cambodia was now illegal as far as the Congress was concerned. It was also the first time in US history that the legislative branch had ever restricted the war powers of the executive branch. Despite the passage of the Cooper-Church Amendment, Nixon was undeterred. US ground forces pulled out of Cambodia by the end of June, but the administration continued its B-52 bombing campaign supported by tens of thousands of ARVN ground troops fighting the North Vietnamese within Cambodia. The US encouraged the South Vietnamese air force to engage communist targets in Cambodia, which they often did with little regard for collateral civilian casualties. The White House also began to implement a long-term strategy for assisting Lon Nol's army with weaponry, cash and military training. Cambodia was now a full-scale test of the Nixon Doctrine, which Nixon described as protecting American interests by supporting foreign troops in the fight against communism. In a matter of months, Cambodia had devolved from a country plagued by isolated skirmishes to full blown free-fire zone. As the fighting escalated Nixon dispatched army colonel Alexander Haig to Phnom Penh in order to appraise the situation as well as their new partner-in-war, General Lon Nol. What Haig found in Lon Nol was a disturbing foreshadowing of the fate of Cambodia. During their meeting Lon Nol broke out into uncontrolled weeping and tremors. The US invasion had pushed the violence even further into Cambodia, and now Lon Nol literally was begging for help, for his army was too weak to save itself. Haig assured him that Nixon was his friend and would help the Cambodians fight the communists. But unlike Prince Sihanouk, Lon Nol was an indecisive, exceedingly emotional man whose undeterred faith in the occult and other mystical matters far overshadowed his leadership skills. He would often consult with monks who claimed to be spiritual channels to the ancient kings of Angkor. As one US cartoonist joked at the time, "The only thing we know about Lon Nol is that Lon Nol spelled backwards is Lon Nol." Yet the Nixon administration, committed to pursuing an honorable end to the war in Vietnam, adopted Lon Nol and began to supply his forces.